Are you looking to install new blinds in your home? First of all, great decision! New blinds can really upgrade your home. However, in order for your blinds to look their best, you need to make sure they fit your window properly. And for that, you need to do some measuring. Read on to learn the most important tips for measuring windows for blinds. The first important decision you need to make when measuring your windows for blinds is whether you want to mount the blind on the outside or inside of your window frame. Mounting on the inside provides a clean look to your window frame, and it allows visibility for your window molding. 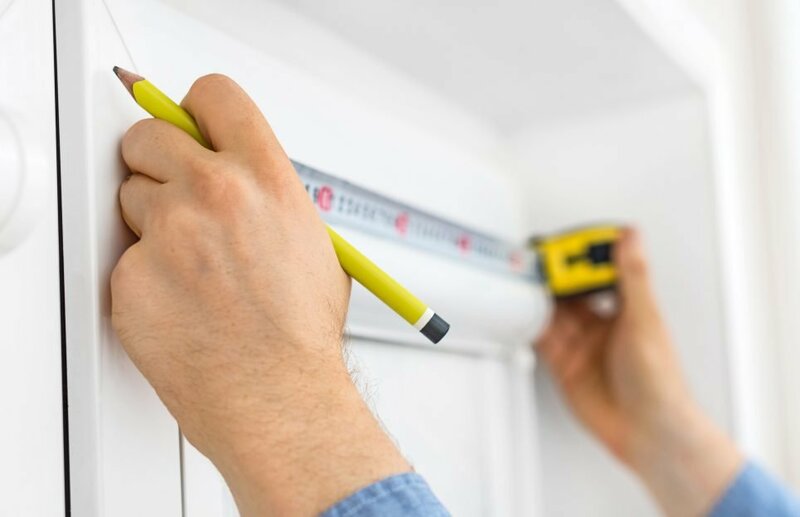 However, you will need to make sure your window has enough depth if you want your blind to fit evenly with the window molding. Outside frames are great for those who would like their windows to appear a bit wider and longer. Plus, if you feel like your window is unattractive, an outside frame can help hide this. You will also get more privacy and greater light control with an outside frame. In addition to inside our outside, you will also need to choose between horizontal and vertical blinds if you haven’t already. These blinds need to be measured differently, so you will have to decide this beforehand. Once you’ve decided on the style, it’s time to measure. Grab a measuring tape, pen or pencil, and a piece of paper, or something else with a straight edge. Measuring Windows for Blinds: Are You Ready? As you can see, measuring windows for blinds is easy-peasy. If you have any questions on this process, be sure to drop us a comment below. Or, maybe you’re still stuck on which blinds to choose for your home? We offer an obligation free consultation to assist with the measurements, blind choice and colours for you to pick the perfect option for your windows.